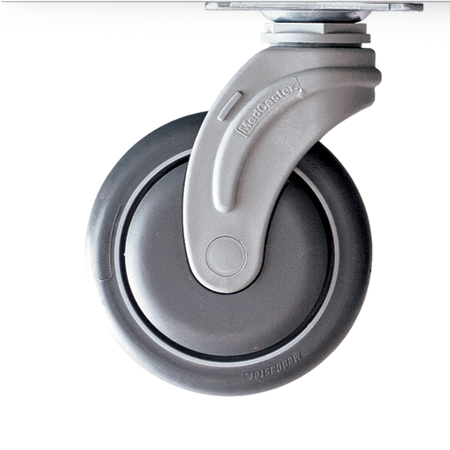 The 6" Casters perfect for thick and padded carpets. Increases the work height by 1". 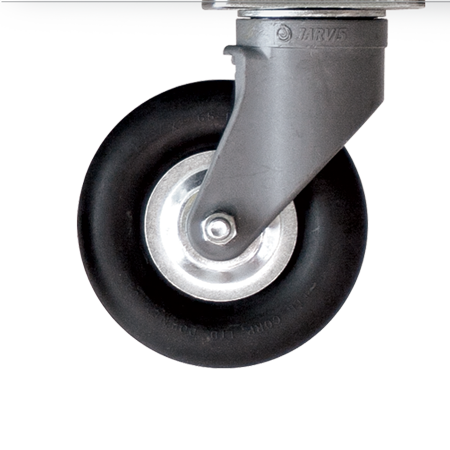 There is nothing "standard" about our casters. 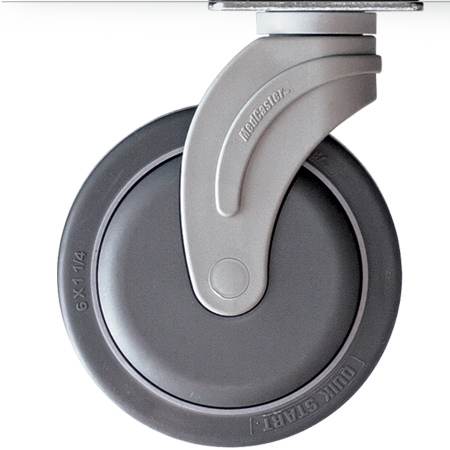 Sealed bearings, nylon construction and dust covers provide years of quiet and maintenance-free service. Recommended when the height of the cart needs to be reduced. These wheels are recommended for tile only. Reduces work height by 1". 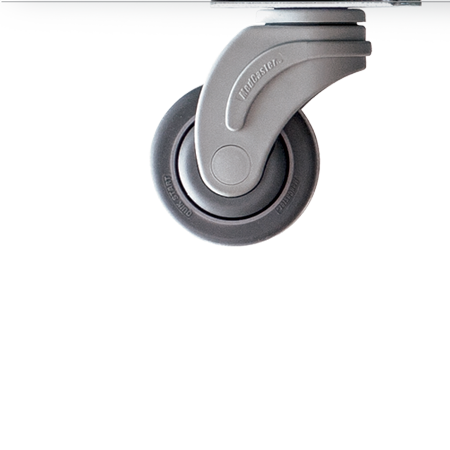 This caster absorbs the shock of paved-outdoor surfaces and large thresholds.